The countdown to Thanksgiving has officially begun! 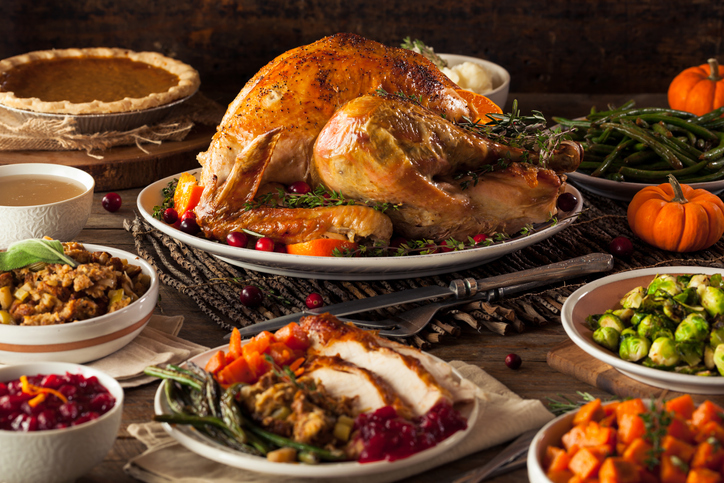 You could cook all the food yourself, but if you don’t want to, here are a few of our restaurant recommendations for the best Thanksgiving dinner in Dripping Springs. Starting things off is one of the newest restaurants in Dripping Springs – Tillie’s. If you really just don’t want to cook anything for Thanksgiving, you can go to Tillie’s and have everything taken care of. You can sign up for Tillie’s Thanksgiving Feast and enjoy absolutely delicious food cooked by expert chefs in one of the hottest new Dripping Springs restaurants! Primarily a bakery and lunch café, Rolling in Thyme & Dough offers exceptional sweets such as pies, pastries, cookies and cakes. With them, you don’t have to worry about the desserts. All you need to focus on is the main course. To some people, Thanksgiving is all about traditions, but why not start a new tradition? Sometimes the best Thanksgiving dinner in Dripping Springs isn’t something you would consider a “normal” Thanksgiving meal. Trudy’s helps you make Thanksgiving truly unique by serving up fresh, local Tex-Mex food. Taking it back to the first Thanksgiving, Homespun Kitchen and Bar offers a unique farm-to-table style to your Thanksgiving dinner. All you need to worry about is making a tasty turkey, and then you can get the rest of your Thanksgiving food together to complement your meal plans. Turkey Day will be here before you know it, so go ahead and start making plans for the best Thanksgiving dinner in Dripping Springs with these phenomenal local restaurants. We’d love to hear what your favorite dishes are to have for Thanksgiving! Is there something you can’t go without or something new you’re going to try? Let us know by connecting with Caliterra on Facebook, Instagram and Twitter.